This is my core home and I’m over the moon crazy about it! As much as I adored my previous website design, I’m branching into new worlds with my writing. 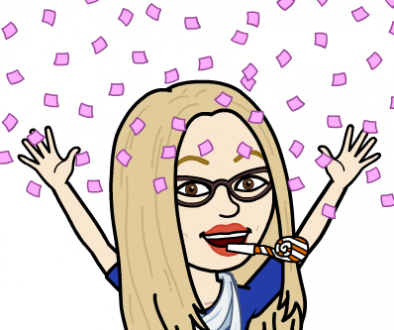 In addition to my contemporary, historical, steampunk, and paranormal romance tales, I’m now writing historical mysteries and I have plans for contemporary mysteries as well. Adopting a more mainstream look seemed wise. Plus, it’s a great way to shake things up and inspire new growth. Anyhoo, that’s the scoop! Please browse my new website and let me know what you think. Oh, hey. If you see a black&white photo, hover over it and it will turn to color! Although that only seems to work if your browser is Chrome or Firefox. That special feature doesn’t work with Explorer. Not sure why. All photos just show in color. 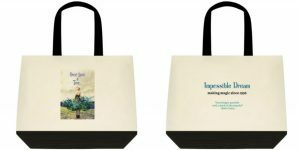 In celebration of my new look I’m giving away a gift package consisting of 1 Impossible Dream Tote Bag and 4 signed books–Beauty & the Biker, In the Mood for Love, Into the Wild, and On the Naughty List. Comment for a chance to win and let me know where you’re from (state or country)! I’m curious about my readers! Winner will be randomly chosen and announced HERE on Tuesday, May 2. Thank you for celebrating with me! Hello world! We Have a Winner! Woot! Thank you, Dina. Wisconsin… Such a pretty state. I’ve been there several times in my distant past. And I have family there! Your new website looks so pretty. I love all the pictures, and the book list. Is this the blog area? I’m so glad you like everything, Gayle. Yes, this page ‘News & Muse’ is my new blog. 😉 So glad to see you here! Long time fan! Love your work!! From WV. And the new site is beautiful! Like the website! As you may remember, from New Jersey and loved it there….the ocean and that atmosphere that goes with it. Still don’t like Ohio and probably never will, but such is life. Can’t wait to read one of your 1920 mysteries! !!! You have me liking romance now, and I already like mysteries. 19 20’s was meant to be my time period, I think. Great to see you doing it all! Hey Bonnie! Always happy to ‘see’ you. 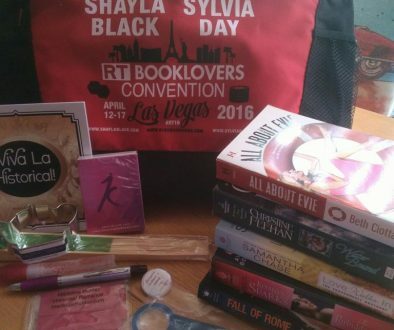 I’m so glad you like my new home and yay for being a fan of mysteries AND the 1920s! I’m beginning to think that was my time period, too. Or at least one of them! As for NJ and the ocean… Don’t hate me but I only live a few blocks from the beach. I’m not one for sun worshiping but I do love walking my dogs along the ocean in the cooler months. So relaxing! Living a few blocks from the beach is awesome! I used to be a fan of tan, but I have since realized that the air and the breeze and the sound of the ocean are the real things I loved. Sand between my toes and lightening over the ocean. It is relaxing. I recently read an article concerning new research which proves living near the ocean is healthier. So walk and breathe it all in!! And then go write, please. Living near the ocean makes you healthier? Well, that’s interesting. Something about the salt air, perhaps? That makes me think of something I came across while researching Atlantic City in the 1920s and something that plays into the mystery I’m writing. The fact that, especially in the late 1800s/early 1900s, people used to flock to AC for the ‘saltwater baths’–something that was considered medicinal. Maybe there was something to that! The new site is really pretty. I look forward to seeing the books under the Elizabetta pen name as I love mysteries as well as romance. I’m from Iowa. Michelle, thanks so much for touring my new digs. I’m super thrilled that you like what you saw. And I’m even more thrilled to know that your looking forward to the mysteries I’m writing as Elisabetta. I’m having a blast and I can’t wait to share. 🙂 As for Iowa…. I’ve traveled a lot of the USA, but I don’t think I’ve ever been in Iowa. The closest I’ve been is Wyoming–which I loved. Beautiful country! So glad you like, Dawn! I so appreciate your crafty eye! NJ. Yah! Hi Beth! Love the new look! I am from Long Island, NY. Hi Sharlene! Thank you for taking a gander. Very glad that you like my renovations. 🙂 My husband’s from LI and most of his big Italian family is still there! Love how your new website displays things – such pretty pictures and I like how un-cluttered it is! I like to read a variety of genre, so it’s fun when an author writes a variety. I’m from New Jersey – my town of Basking Ridge has been on the national news lately – our 600+ year old white oak tree has died (legend is that George Washington and the Marquis of Lafayette had a picnic under it) – I watched them finish taking it down last Wednesday – there are videos online – I walked by it on my way to first grade many years ago. Time does pass quickly. I so appreciate your feedback on my new look. It’s nice to know what does and doesn’t appeal. Also glad that you’re up for my mysteries. Can’t wait to share! I love your story about the 600+ old tree. That’s amazing! Someone could spin a fabulous tale revolving around that. 🙂 And, yes, time passes quickly indeed. I’m really excited to hear about your new historical mysteries. Early 20th century is one of my favorite time periods when reading historical fiction. In fact, just a couple of weeks ago I read The lost girl of Astor Street which was a YA historical mystery. You’ll definitely have a crossover reader with me. 🙂 I live in Washington State. Morning, Terrill! Thrilled to know you’re up for my historical mysteries. I’m looking forward to when I can share a little more about them. And thank you for the YA rec. Love that title. I’ve never been to Washington State, but I hope to change that someday. It looks absolutely beautiful in photos! I love the new site! The clean lines really work for me. I’m in New Orleans currently. Thanks for the chance! Thank you for the positive feedback, Rhi. Woo-hoo! As for NOLA, I’ve been there quite a few times. Magical! Love your new website design and excited about the upcoming Elisabetta Ciotta authored book! The new site looks great. From Indiana. Thanks so much for skimming my new site, Stacy. *Waving* to a fellow Hoosier. Indiana–my native state! Hello from FL!! Love the new site & I’m so looking forward to reading the new books!! I adored the Cupcake series & Impossible Dream series so much! Thank you for dropping by, bn! Love the new website. Very bright & easy to navigate-which is important for those of us not technically inclined. I love your books & await anxiously for new romance books. We are finally enjoying some nice weather even though winter was not bad at all this year! love new look and I am in Bethany Oklahoma. we call it speed trap city so if anyone comes through better go speed limit!! Speed trap city. Love it. 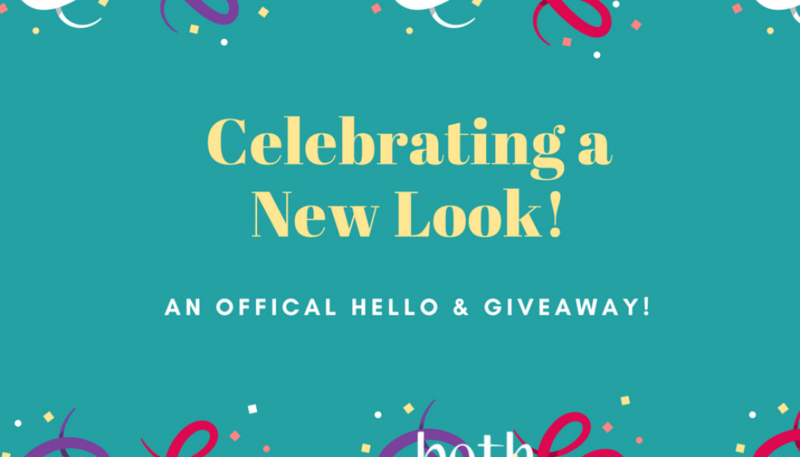 🙂 Thank you for dropping by and checking out my new look, Jennifer! The new site looks fantastic! Love the Impossible Dream series and can’t wait for the next book. So thrilled you that you like the new site and I’m over the moon that you’re enjoying the ID series. Hoping to share a Emma’s story in the near future. Stay tuned! I like that your site is easy to navigate. I’m from Indiana. Great new website! You are a new author to me and I would enjoy reading your books. I from the suburbs of Chicago. Hi, Dianne, and welcome! Thank you for taking the time to check out this new-to-you-author’s website. I appreciate your time and feedback! As for Chicago, I was born and raised in Northern Indiana so I’ve been to your city a few times. Great city! The new website is great, love all the bright graphics! The giveaway is awesome! I really look forward to reading your books! Hi Maria! Thanks for giving my new site a look-see. Happy to know you like the bright graphics. You wouldn’t believe how long it took me to settle on the colors of the central theme! Thank you again, and best luck in the drawing! It’s awesome ! I love the new design. And I’m looking forward to the mysteries. I’m from West Orange, New Jersey. Home of Thomas Edison. I didn’t know that West Orange was the home of Edison. What a cool bit of trivia! Also, thank you for cruising my new home. I’m so thrilled that you like the design. That means a lot to me. All best and good luck with the drawing! Hi from Michigan, the Great Lakes State! The site looks great and thanks for a chance to enter! So thrilled that you like my website! And I’m glad you enjoyed my rambling explanation for Beth vs Elisabetta. I didn’t even THINK of Gary Oldman’s Dracula. I haven’t seen that movie in years. I must revisit it. I seem to remember falling under his spell. 🙂 *Waving* at you in the lovely state of Louisiana! Congratulations on the new site! 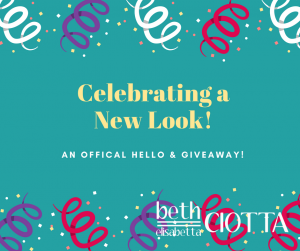 Glad to hear the news from Beth//Elisabetta–looking forward to lots of great reads! Hi Virginia from Virginia! 😉 Thank you for your well wishes for my site. I’m especially glad that you’re looking forward to stories from my alter-ego Elisbetta. Stay tuned! I really like the new site!! I’m from Virginia. Thank you for stopping by, Kim. So glad my new look appeals! Hope all is well with you in your beautiful state of Virginia. Good luck in the drawing! I left a comment on FB, but forgot to over here. The new site looks great, and I can’t wait to read what you have in store for us! Thank you for hopping back to comment here as well, Deidre. Seeing you here at my new home makes me smile! Love the new site! I’m from Wisconsin. Thanks so much, Andrea! And good luck in the drawing! I love this!!! So engaging ….great job!!! I took the tour of your new website…..very impressive. I loved it. In am looking forward to reading your mystery books. I am from Oklahoma. Dianne, thank you for touring around my new home. I’m so thrilled you like it! And I’m super excited that you’re looking forward to my mysteries. Me, too! 🙂 Waving to you from New Jersey! Awww. Thank you for making my night, Liz! And thank you for dropping by! Great new website! And good idea to adopt a pen name for your new genre. Congratulations! I so appreciate your thoughts, Marthina. 🙂 Thank you and good luck in the drawing! The new site is looking fantastic, Beth!! Love how easy it is to navigate and how streamlined and pretty it is! So thrilled to read your awesome feedback, Fedora. Very helpful. Thank you!